St. Michael’s Orthodox Church served as worship center for many Slavic immigrants. Orthodox Christians from central and eastern Europe petitioned Archbishop Platon for a priest in Robins back in 1912. In the beginning, worship services were held in the Lodge Hall, which was remodeled and converted into St. Michael’s Greek Orthodox Church. 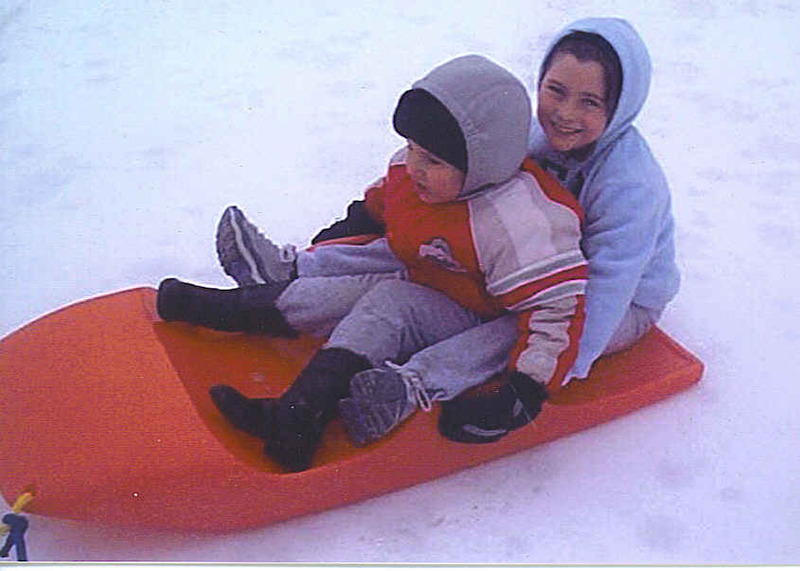 My grandparents, George and Mary Veselenak – Dede and Baba to me, were active at St. Michael’s Orthodox Church. George Veselenak was president of the United Orthodox Brotherhood of America for over thirty years. The church sat against a bank in Robins, which is today known as Trail Run. During an Easter service there at midnight on Sunday morning many years ago, the church fell into total darkness. Everyone left the church to follow the priest around the church three times to indicate the three days Jesus stayed in the tomb. Then everyone stepped back inside the church to find it brightly lighted with many white candles. The Resurrection had occurred. Families gathered to have Easter baskets blessed. Easter baskets were blessed by the priest and a feast was held for those present to break their fast since Friday. Many had not eaten meat for the duration of Lent. It was a pleasant time as their soul had been filled with the Spirit and their bodies with the blessed food. The interior of the Greek Orthodox Church, later called Russian Orthodox Church, holds many beautiful paintings, statues, and decorations. The church building is centered around the altar table, The Banquet Table of God. The Book of the Gospels sets on this carved wooden table from which communion is served. Many candles can be found throughout the center of worship. The altar at St. Michael’s shows the traditional Orthodox cross. Icons of Christ and the saints play a large role in describing the reality of God’s presence with us. They can be found on the royal gate, over the doors, around the central gates, on walls and ceilings. The cross is the central symbol for Christianity. The Orthodox make the Sign of the Cross by placing their first two fingers and thumb together to signify the Triune God. Then cross themselves from head to breast and from shoulder to shoulder. This is done several times during their services. This ribbon badge has two sides. The red, gold and blue side was worn for all church services, while the black side was used for funerals. This badge belonged to Dede. Incense is the symbol of the rising of prayers, of spiritual sacrifice and of the sweet-smelling fragrance of the Kingdom of God. The priest frequently swings his censor of incense over the altar area as well as the entire congregation as a blessing. Mom framed this prayer cloth that belonged to Baba. Since services remain much the same from week to week, parishioners know the hymns and prayers easily as their chant is very repetitious. No organ or instruments are used as all words are from scripture or ancient Christian texts. Orthodox people generally stand for the entire service. This picture taken in 1914 shows the size of the first children’s class at St. Michael’s. St. Michael’s Orthodox Church in Robins had a large attendance, and children were well behaved. There was no nursery so children learned to stand quietly for the entire service. In its early years, services were conducted in Slovak, however, today English prevails. 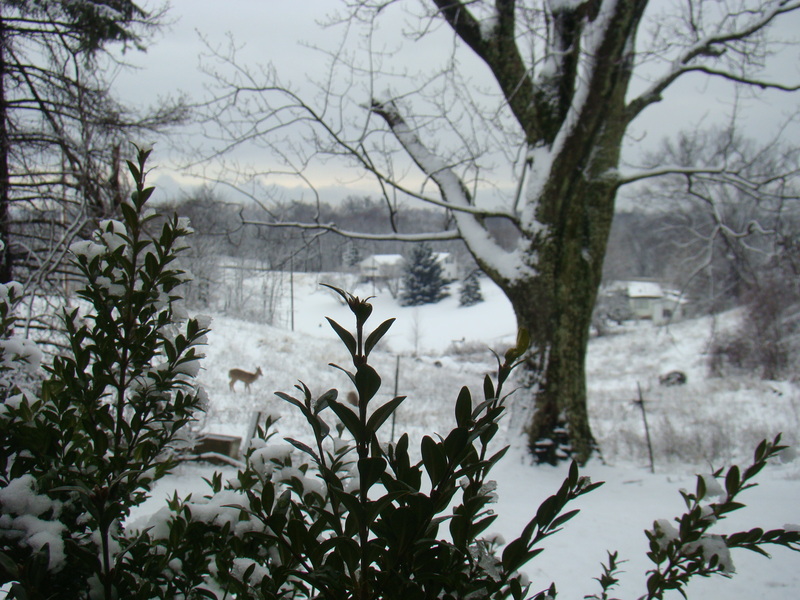 Land for the church cemetery, now known as Robins Cemetery or Trail Run Cemetery, was purchased on the hill across the road from the church in 1918. The Bethlehem Cemetery is in Lower Trail Run. About twenty years later, the “R” Club (Fellowship of Orthodox Christians in America) was established. This is an overview of Robins with the Orthodox Church seen on the back right. The parish home in Robins, burned down on two separate occasions. The first time in 1939 when it was rebuilt with lumber from vacated houses after the mines had closed. 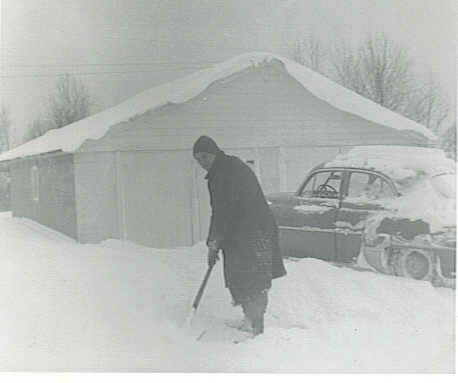 After the second fire in 1958, parishioners decided to rebuilt in Byesville, OH and purchased land for a future church building. Christ the Savior Orthodox Church celebrated its 50th Anniversary in 2017. 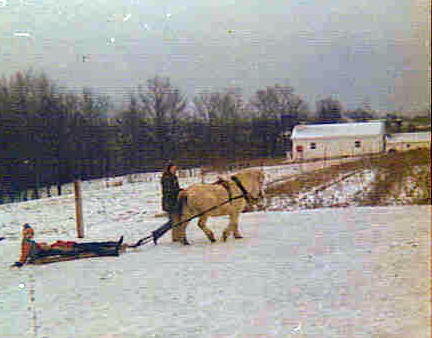 In December of 1966, the first service was held in the new building in Byesville, where the church was called Christ the Savior Orthodox Church. Today this church is the only Orthodox Church in southeastern Ohio and covers an area from Columbus to the Ohio River and as far north as Canton. They celebrate their 50th anniversary this year. Imagine what it would’ve been like to take a Gypsy Road Trip a hundred years ago. 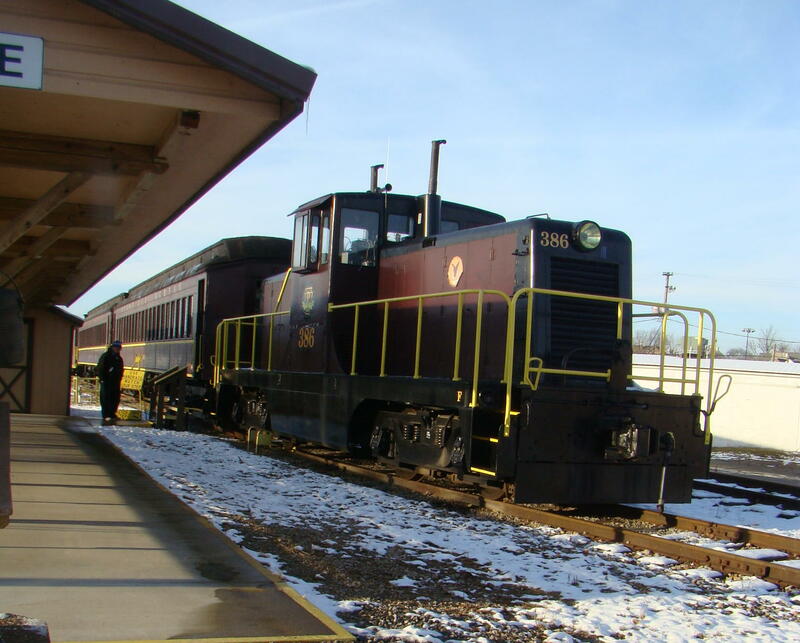 At that time a modern means of transportation in Guernsey County was the Interurban, a type of electric railway with light, self-propelled, electric cars. Midland Power & Traction provided the electricity from their location on Foster Avenue at 2nd Street (recent home of Variety Glass) in Cambridge, Ohio. 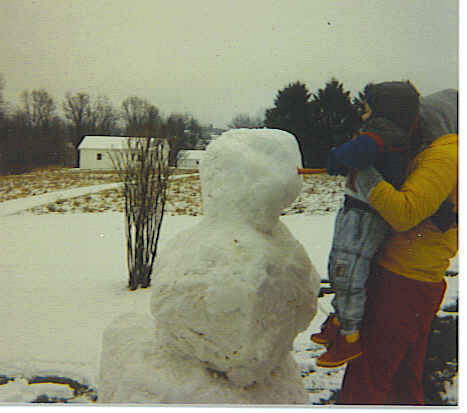 Just for fun, let’s step on the Guernsey County Interurban and take a little road trip with Granny through Guernsey County on a summer day long ago. She has a special destination for her trip today, but will enjoy all the sights along the way. All aboard for a ride into the past. Tickets could be purchased at The Electric Shop across from the courthouse. Having saved her pennies for weeks now, it’s time to purchase her round trip ticket for a quarter. The Electric Shop on the corner of South 8th Street across from the courthouse is a handy place to get a ticket. This aerial shot of the old Cambridge Glass Company shows the baseball diamond, a popular weekend form of entertainment. At the first stop on the trestle by the Cambridge Glass Company on Morton Avenue, glass workers wait. Many employees use this for their ride home after work, even on a Saturday. Granny notices the baseball teams preparing to enjoy the summer day. Looks like the semi-pro teams of Cambridge Glass Clear Cuts and Byesville Bobcats are ready to “Play Ball”. Today a stop will be made at the Byesville Driving Park along Chapman Creek. Many depart the train at Stop #7, called Marjorie or Springfield, and walk about a quarter of a mile to the grandstands at the park to watch the horse races. Korte’s Park had perhaps the only swimming pool in Ohio back in the early 1900s. Others get off at Stop #9 and visit the nicest picnic area around at Korte’s Park. 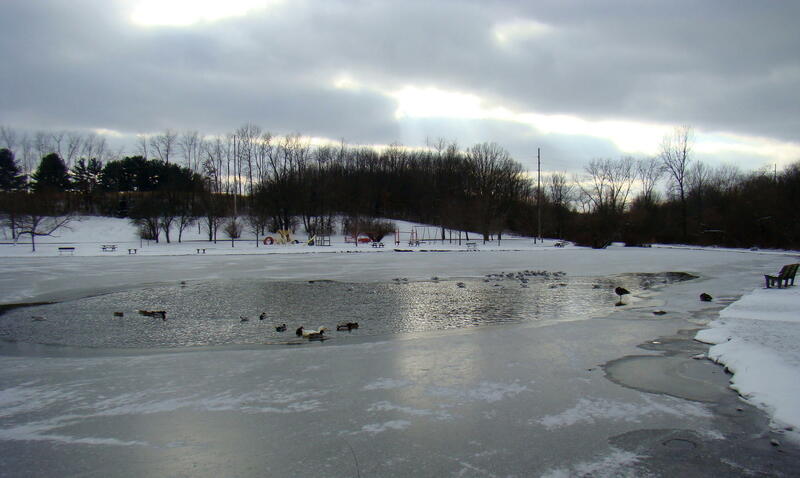 This is said to have been the only swimming pool in the state of Ohio, so quite a popular spot during the summer months. The Interurban rolls down Depot Street (now Second Street) in Byesville. This Saturday afternoon when all the coal miners are shopping in Byesville, the Interurban has to slow down a little because of the miners and their families flooding this main thoroughfare. Coal miners were not welcome to shop in Cambridge, so Byesville was a busy town. Interurban passes over Rocky Bottom swimming hole, a popular summer hang-out. Just outside of Byesville at Little Kate, the tracks lead over Wills Creek on a trestle. Granny’s eyes light up as she notices a sign on the cowcatcher that says “Haag Railroad Show”. That sounds like something she would like to see. As you pass over “Rocky Bottom”, a favorite swimming hole for youngsters, watch out for skinny dippers. Sometimes they make people laugh, and other times cause embarrassment to those riding the rails. Granny has to cover her eyes! Trail Run Mine is a busy town with over 1500 residents. You have to be quick as the interurban only stops here for seconds unless there are milk cans, ice, dynamite, or other freight to unload. They must keep on schedule. Vacation Bible class of Lucasburg and Buckeyeville stops for a picnic at Ball’s Grove. Up on the hillside, Granny spots families having a picnic under the trees. There is a spring nearby and she has heard that Ball’s Grove (today the northbound I-77 roadside rest) is a perfect place for a family to enjoy relaxing while the children play tag or kick-the-can. Miners and mules line up outside Puritan Mine. As the Interurban stops at Puritan Mine (Seneca Lane), coal miners get on board to head home for the evening. Granny fusses just a little to make sure they don’t get coal dust or grease on her best dress as she has almost reached her destination. The large cars have seats for forty-two, but often two hundred dirty miners will crowd on board, eager to head home for the day. The Interurban can be seen on the other side of the covered bridge leaving Pleasant City to return to Cambridge. By the time the cars have made it all the way to Pleasant City, the end of the line, there is reduced power for the trip back to Cambridge. Voltage is so low that cars leave at a crawl with their overhead lights no brighter than lightning bugs. Now you can see why they need that new substation on Morton Avenue to provide power to the stations at Pleasant City and Byesville. Today’s a special day for Granny as it’s her birthday. Her sisters live in Pleasant City and greet her as she gets off the Interurban. They are amazed that she has come so far all by herself. Wouldn’t it have been an adventure to take a Gypsy Road Trip with Granny on the Interurban? As soon as you pull into the parking lot, the bronze coal miner statue catches your eye. The Ohio Coal Miner was sculpted by Alan Cottrill at Cottrill Sculpture Studio and Gallery in Zanesville, Ohio, and dedicated in September of 2012. This statue is a tribute to miners and their families in Ohio, as well as across the entire nation. The miner’s brass tag reads 382, the number of coal miners who lost their lives in the deep mines of Guernsey County over the mines’ sixty active years. 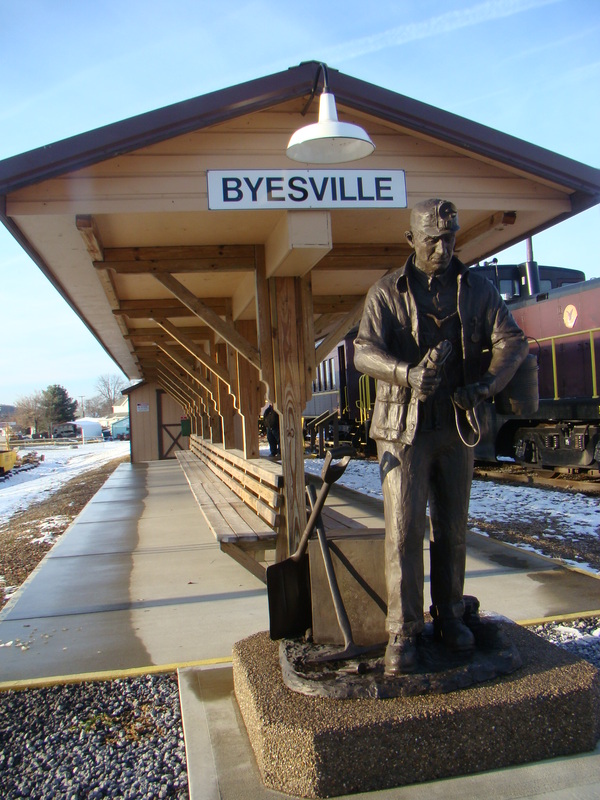 During the past few years, all contributions given to the Byesville Scenic Railway during their train rides were dedicated to building this memorial statue, which actually cost nearly $40,000 to reach completion. A portion of the plaque in front of the statue states: May your personal sufferings, sacrifices and the hardships endured by your families, never be forgotten nor taken for granted. Sadly, the train is not able to chug down the track these days due to some issues over insurance and track ownership, but the volunteers at Byesville Scenic Railway are still sharing a unique presentation of life during the days when coal mines were booming in the early 1900’s. At that time, Byesville had 77 mines, and was considered to be “The Coal Mining Capital of Southeastern Ohio”. Visitors are invited to take a seat on “The Train to Nowhere”, where they are given information regarding the 1917 train cars and the diesel locomotive. Back in the coal mining heyday, the train ran from Cleveland to Marietta delivering coal from Guernsey County mines. The Byesville Scenic Railway volunteers are optomistic that the train will be running again a few years down the track. 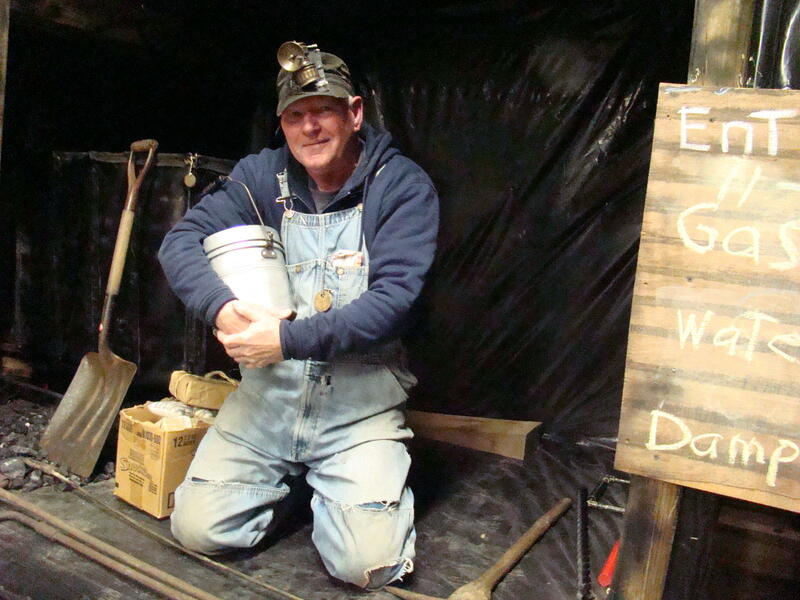 Dave Adair tells coal miners’ stories. Miners were very superstitious and often carried lucky pieces in their pockets. Over the entrance to the mine, a horseshoe was often placed. It had to be placed with the open side up so the luck wouldn’t run out with 100,000 ton of rock above their heads. 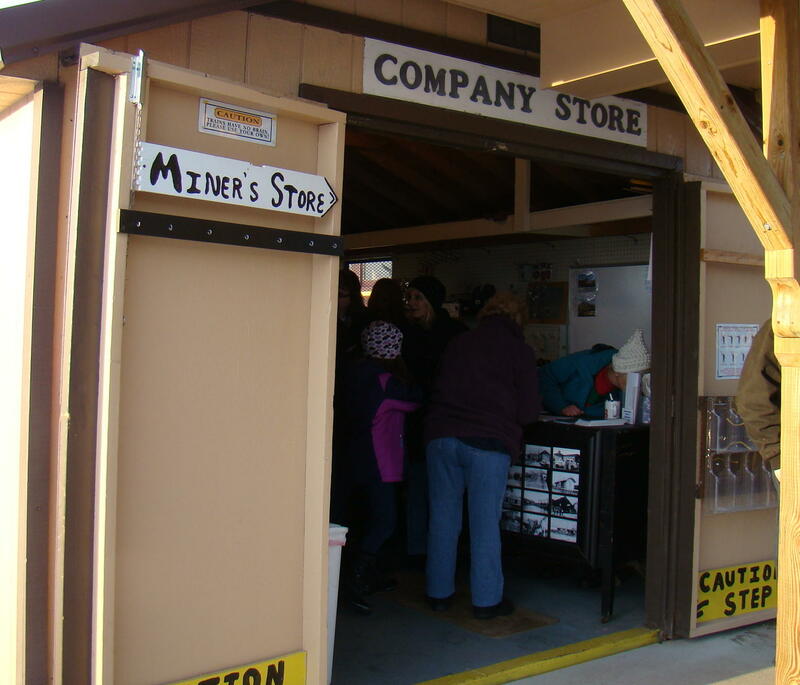 Treasures for families of coal miners and train enthusiasts can be found in the Company Store. A variety of gifts for young and old alike range from engineer hats and handkerchiefs to mugs and wine glasses. You won’t want to go home without a memory of those hard working miners. 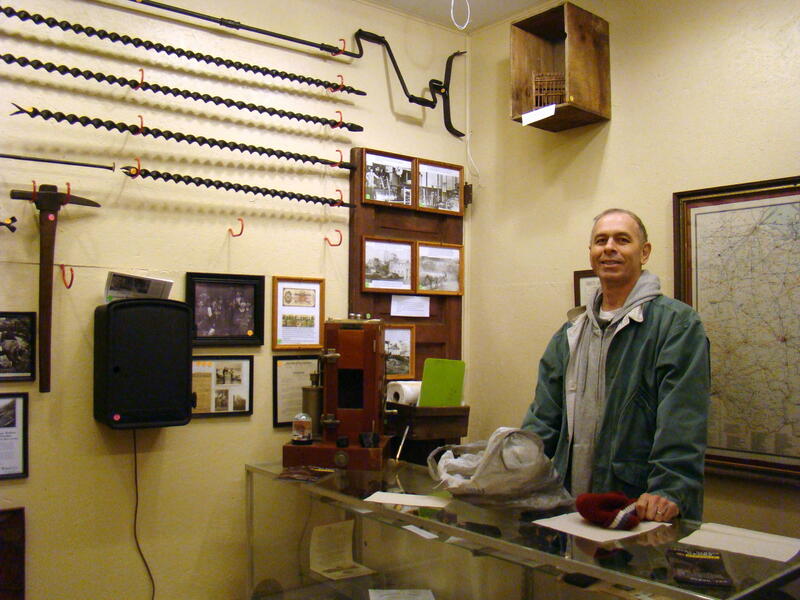 Steve Stolarik explains Miners’ Museum. The Miners’ Museum has been developed in more recent years for the education of the general public. It contains a collection of original coal mining equipment used in the local mines. On the wall are displayed the various bits used to drill into the coal face to insert a stick of dynamite, which the miners had to buy themselves from the company store. Steve Stolarik was on hand to explain how the bits and lanterns functioned when the miners were deep in the mines. Included for display are numerous pictures of the old Guernsey County Coal Mines. Byesville Scenic Railway is located in Byesville, Ohio just off I-77 (Exit 41) south of Cambridge. Turn toward Main Street of Byesville, then left at the traffic light. The train depot is one block on the right. Free parking is available along Second Street and Seneca Avenue.